You can create segments of users based on their organisation as they were browsing your site. This location data is collected from the user's IP address, using Maxmind's geo-location database. On every pageview event we collect the user's organisation from their IP address, if it is known. You can set up this segment for a specific University, or to include all Universities. This segment includes users browsing your site from any university, school or college. 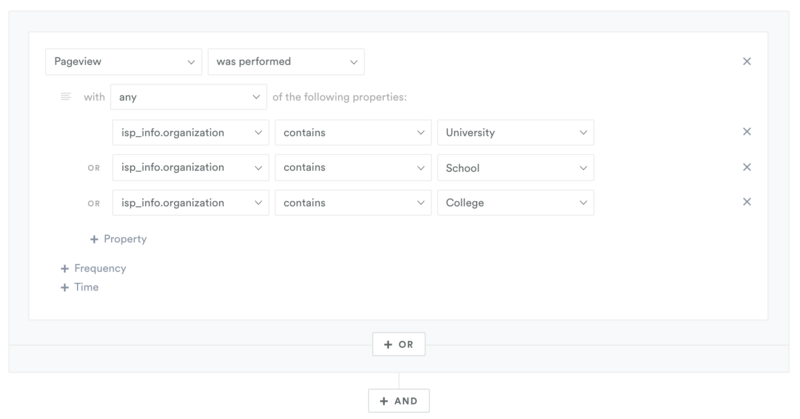 To create the segment, match keywords such as 'School', 'College' and 'University'.